There are instances where you computer’s anti-virus system fails to stop particular malware intrusions – when that happens, it’s up to you to remove the bug yourself. In this tutorial we are going to discuss – step by step – how to identify if your computer has been infected by the HDD Low Fake Security Software and how to remove it so you can get back to business without all of the annoying popups and warnings. First, HDD Low is a set of Trojan viruses that display fake security warnings on the infected computer. When a user clicks on the warning, HDD Low is automatically installed. Once installed, the software will request that you scan your computer for errors and then return a fake list of “critical” issues that can only be fixed if a “full” version of the installed software is purchased. This is a classic “scareware” approach. The goal of the malware is to intimidate the user to purchase the software in order to fix the so-called critical issues returned from the scan of their computer. Truth is, aside for the malware itself, there is likely nothing wrong. 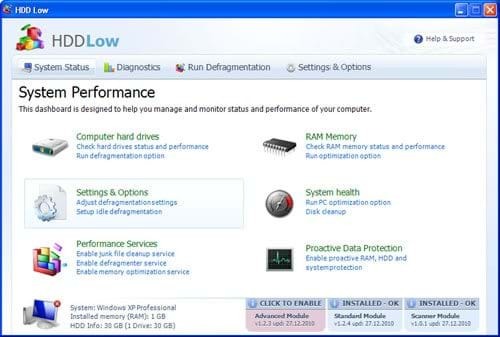 Below a screenshot of the software. If you are seeing this, then you are definitely infected. Windows cannot find [any application]. Make sure you typed the name correctly, and then try again. To search for a file, click the Start button, and then click Search. Windows detected a hard drive problem – A hard drive error occurred while starting the application. After closing the above warnings, the user will be presented with the opportunity to scan their computer for defects. The scan will return a list of fake problems and suggest that they download (purchase) the software to fix the issues. Download RKill. Rkill is an application that ends all of the running processes associated with HDD Low. NOTE: The infected computer may not allow you to download from the web. If that’s the case, you will need to download rkill (as well as malwarebytes) from another computer. Be patient while the application closes all process and if you get a warning stating that RKill is infected – don’t worry! It’s a fake message. Leave the warning open…do not close the warning window and the start Rkill again. Leaving the warning open tricks the malware into thinking that your stuck and unable to continue. NOTE: Do not reboot after successfully running Rkill. If you do you’ll have to start over. Now Download Malwarebytes For Free! Double click on the mbam-setup.exe icon on your desktop. As the installation process finishes, be sure to leave “Update Malwarebytes’ Anti-Malware” and “Launch Malwarebytes’ Anti-Malware” checked. Malwarebytes should start automatically and you should be given the option to update the database – click OK.
Once the Malwarebytes completes updating you should see the main screen. Make sure that “Perform Full Scan” is selected, then click “Scan”. Be patient – the scanning process can take time! At this point the HDD Low virus should be removed. Reboot your computer and enjoy the rest of your day!